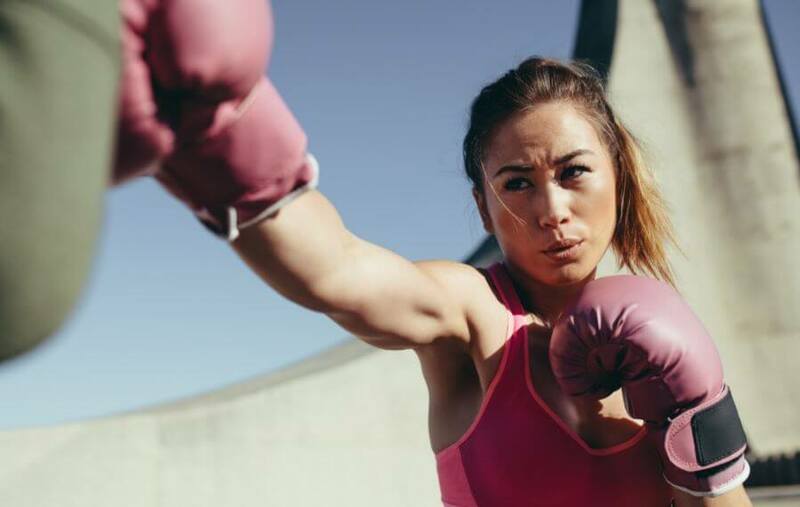 If you would like to tone your arms, you should know that boxing and swimming are some of the best sports that you can choose. Read along to find out other alternatives! The muscles of the upper extremities are usually the most worked muscle group in the gym. However, you can also practice certain sports in order to tone your muscles. In this article, we’ll share all you need to know about these disciplines and their benefits. The two main muscle groups of the arms are the biceps and triceps. 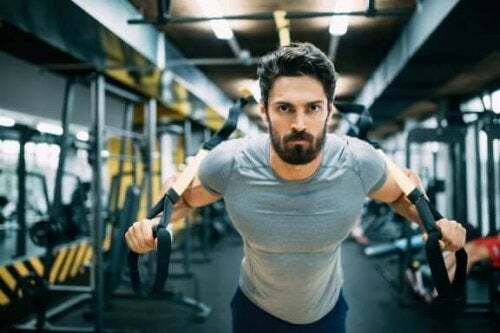 It makes sense that the sports that work these muscles to the max are also the most appropriate to develop and tone the muscles of the upper extremities. In order to work out your arms, you must choose sports that require the performance of these muscles. This means that disciplines such as tennis, basketball, rowing, swimming, and boxing are all excellent options. You just have to think about Rafael Nadal to know that tennis is one of the best sports to tone your arms. In fact, all racket sport including badminton and squash are great sports to work out your arms, as well as the rest of the body. The movements above the hand are performed by the arms and that of the arms by the shoulders. In addition, running from one side of the court to the other also works out the legs, providing cardio which is beneficial to your heart’s health. Rowing is another excellent sport that can help tone your arms. Fighting against the current in order to move demands a lot of effort from the arms. If you don’t have open water close by, you can practice this exercise at the gym with a rowing machine. It is important to maintain a balance between working out the biceps and triceps. If there’s an imbalance, there’s an increased risk of injury. Swimming is another great sport to work out your arms and the rest of your body. It’s a low impact discipline and it’s also very gentle on the joints. Each stroke engages the muscles of both the shoulders and the arms, leading to toned muscles. While it is true that certain swimming styles are good for toning arms, it’s best to mix them up. Freestyle swimming, breaststroke and backstroke are all great ways to workout. Resistance is created when displacing the water to move and this engages muscles in the arm. Another benefit of varying swimming styles is that it will help you to avoid muscle aches. If you would like to challenge your muscles, even more, you should try the butterfly stroke. This style demands the use of all the muscles of the upper part of the body. 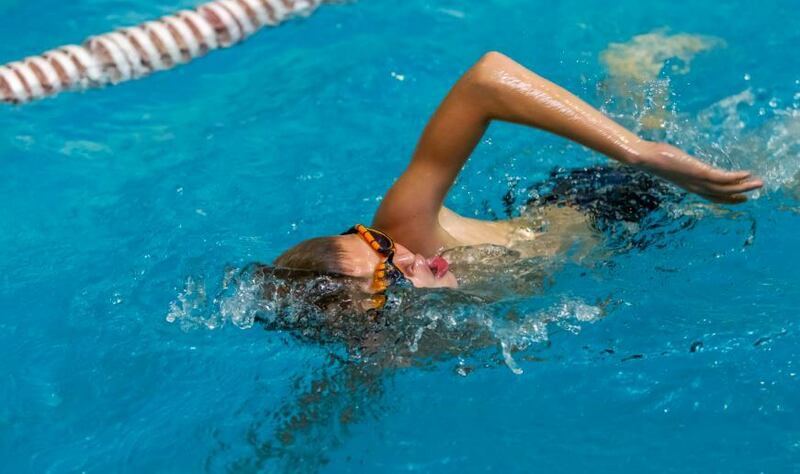 The butterfly stroke engages the shoulders, trapezius, chest, arms and abdominal muscles. Swimming can help you tone your body while improving strength and flexibility at the same time. Boxing is a discipline that works out the whole body, and especially the arms. It’s a sport that develops and tones muscles through the use of continuous movements in the form of hooks, crochets, and jabs. As you can imagine, your arms must be toned in able to throw and block blows. The movements in boxing will help tone your triceps, biceps, and shoulders. It will also help you improve your resistance and strength. Finally, if you would like to tone your arms, you should also keep your diet in mind. Remember that when it comes to gaining muscle mass and definition, what you eat is as important as the way you exercise. Following the wrong diet can wreak havoc on your workouts. This will hinder progress such as muscle toning. Therefore, it’s always wise to visit a nutritionist. 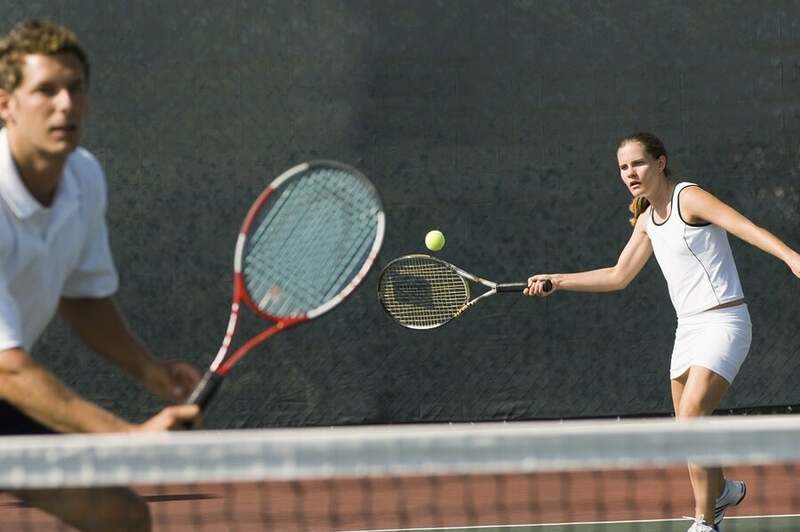 A professional will help you to get the most out of these sports in order to tone your arms.